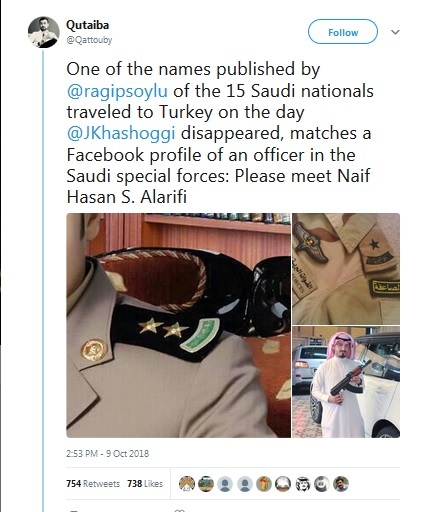 On October 2nd, 2018, Around 1:15, a Saudi citizen, who is also a US resident and is a known Columnist for Washington post, walks into the Saudi Consulate general in Istanbul, never to come back, never to walk again but who knew. Next day on October 3rd 2018, Turkish authorities reported that Khashoggi went missing after entering the Saudi consulate building in Istanbul, Alarms started ringing in different capitals of the world, from Riyadh to Ankara, from Washington to London. 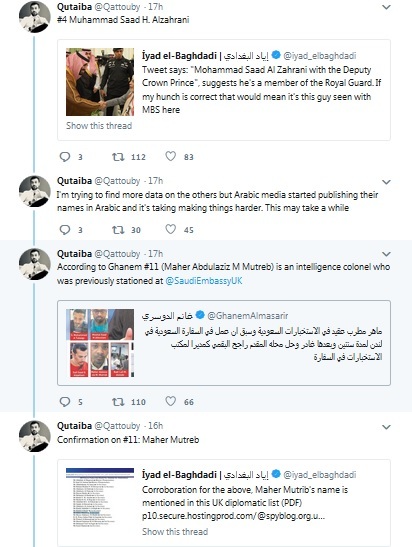 Messages and tweets started pouring in from different quarters over Khashoggi’s disappearance. His friends and fellow columnists from WaPo and NYT started tweeting about his disappearance and praying for his safety. 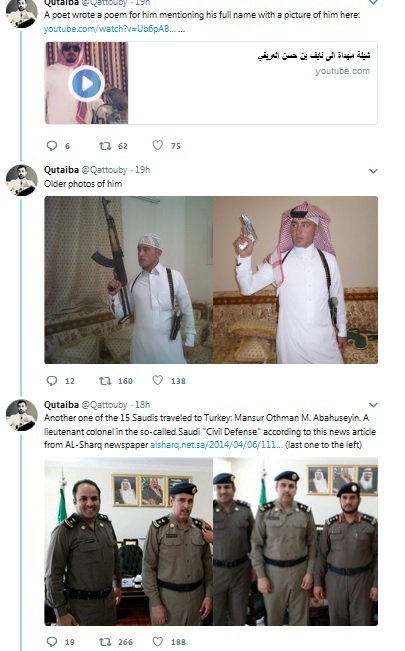 Turkish officials on the other hand had some other important things to uncover, they started investigating Khashoggi’s disappearance as not a case of disappearance but a case of Abduction or probably even murder after abduction. Soon they found out that on the day of Khashoggi’s disappearance, two planes carrying 15 officials came from Saudi Arabia, first flight landed in Istunbul a few hours prior to Khashoggi’s visit to the embassy, second flight came after a couple of hours after Khashoggi’s entry, the second flight was also the first to leave Turkish airspace for Cairo and from their it headed towards Riyadh, a couple of hours after the second plane, first plane also left the turkish territory for Riyadh, along with its passengers, a list being shared by many social media activists, probably leaked by Turkish authorities identifies 15 people, most of them from Saudi military and intelligence services were recognized by their names and their details were shared in this thread. 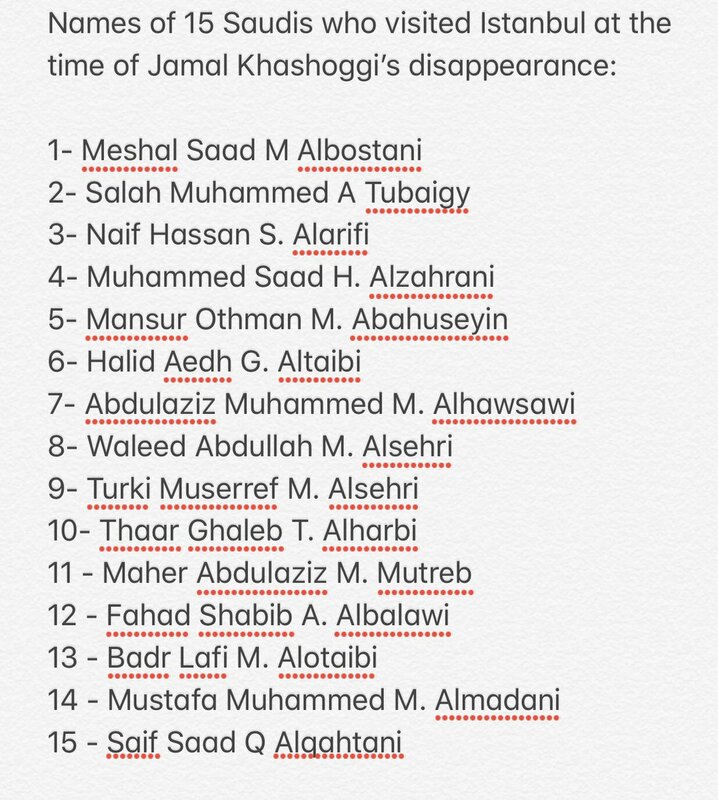 Many on this list have been seen Photographed with Saudi crown prince Muhammad bin Salman or securing his movement when he moves inside or outside the kingdom. 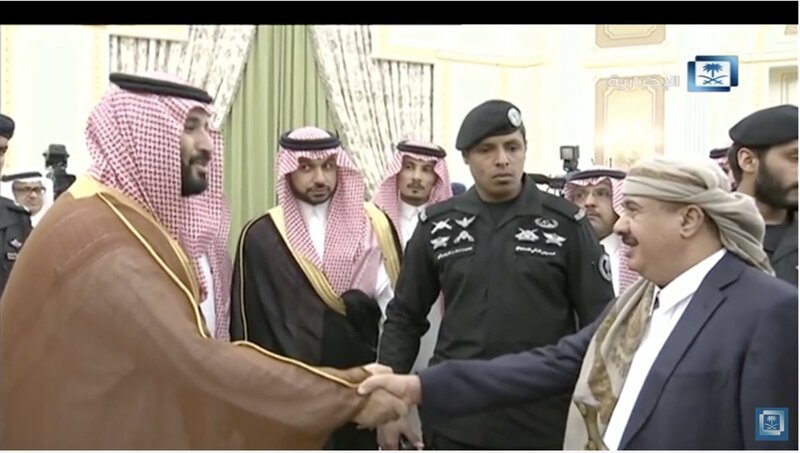 it will not be very hard to believe that Muhammad bin Salman who feels threatened by his kin and close relatives for his purges against them, will he send people he trusts more than his cousins for an insignificant job? 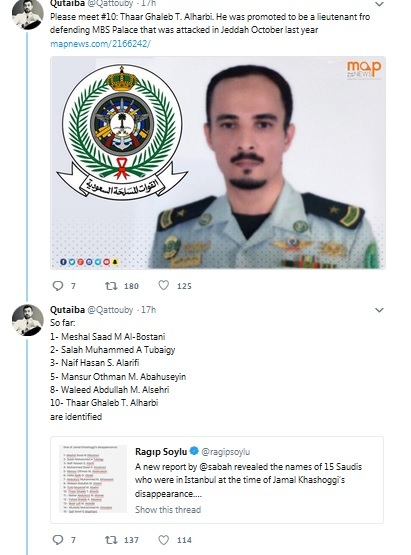 Does that mean that whatever happened to Khashoggi was done on the orders of Prince Ibn e Salman? 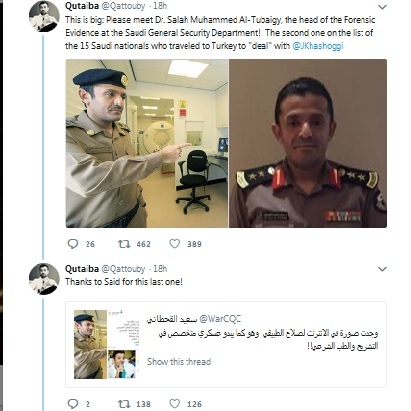 Khashoggi is not the first person to have disappeared on the orders of MBS, before Khashoggi, many journalists even Saudi princes have been abducted from different parts of the world, most notably, Prince Sultan bin Turki was kidnapped from Geneva, Prince Turki bin Bandar was kidnapped from Morocco, Prince Saudi bin Saif al Nasr was kidnapped from Italy, and they all are believed to be killed after their abduction on the orders of Muhammad bin Salman. 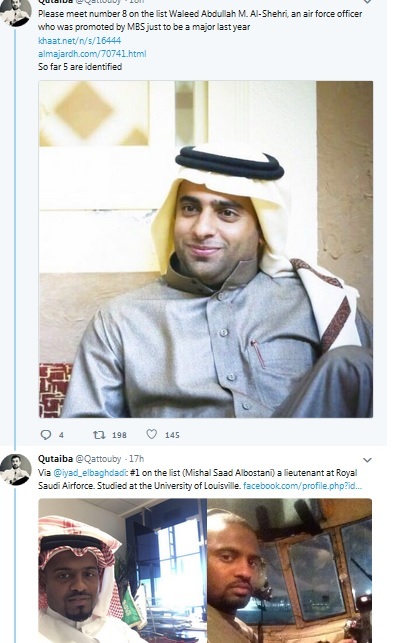 Even Saudi students were abducted from Canada and UEA. 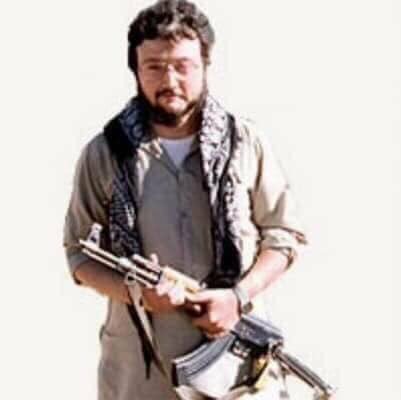 Another Saudi prince Mansour bin Muqarran is also believed to have been killed on Muhammad bin Salman orders when he was flying near Yemeni Border, so he cannot challenge his claim to throne. Turkish authorities allegation of Abduction or murder inside Saudi Consulate in Istanbul, sparked condemnations or forced many prominent figures to show concerns over this disappearance, including US Vice President and UN Secretary general. 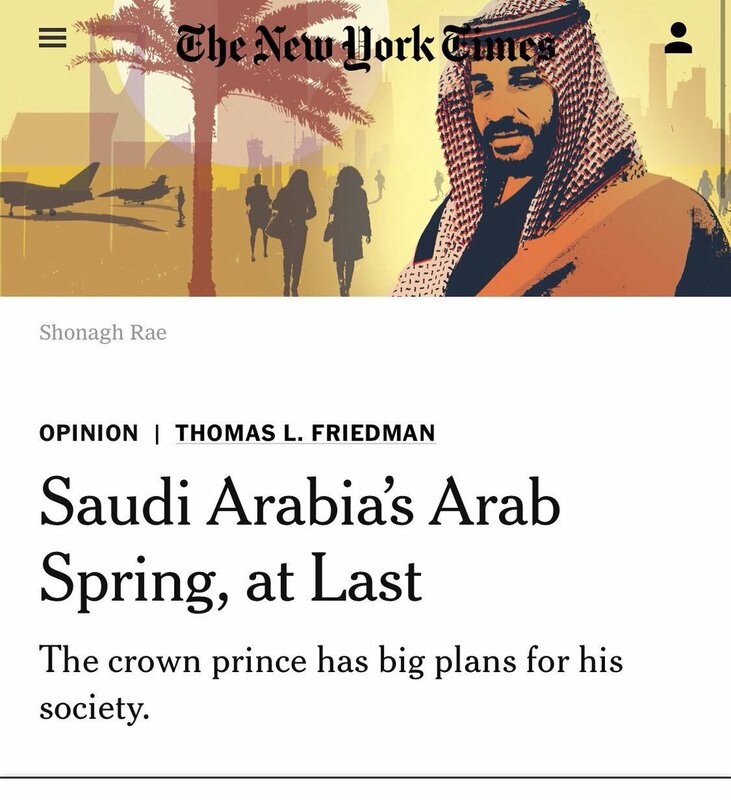 Even Tom Friedman, NYT columnist who was busy telling us that how great a reformer this new crown prince Muhammad bin Salman is, has also asked people to pray for Khashoggi’s safe return via his tweets. 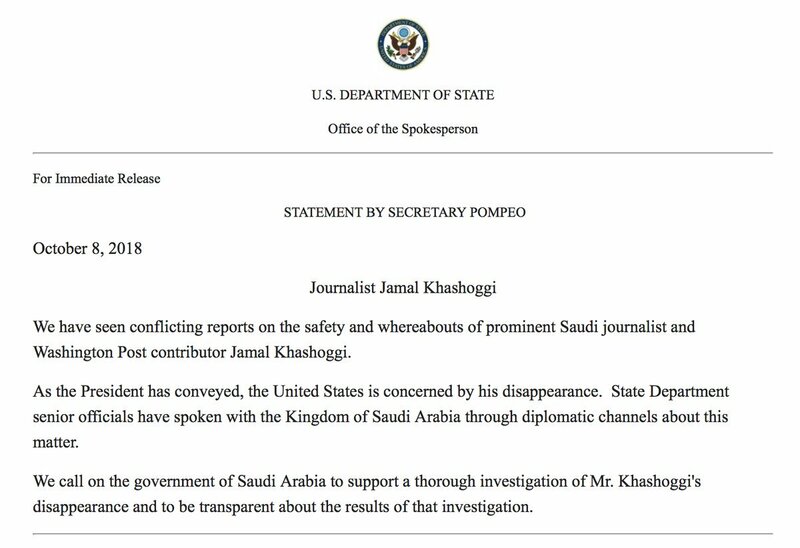 The US state dept has asked the Saudi govt to investigate this matter, just like it was asked by the US and UN to KSA to investigate how it ends up bombing School buses, wedding ceremonies or Funerals in Yemen many times in the recent past. 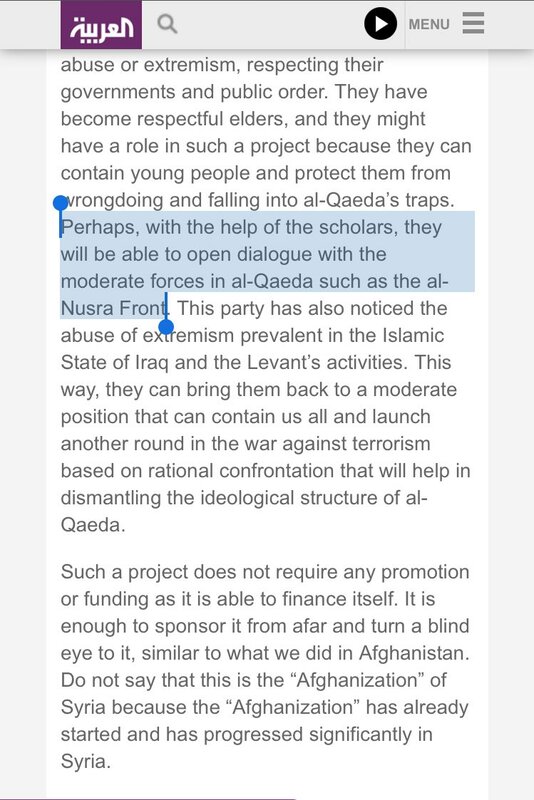 He actively campaigned for the partitioning of Syria, a favored neocon and neoliberal position. 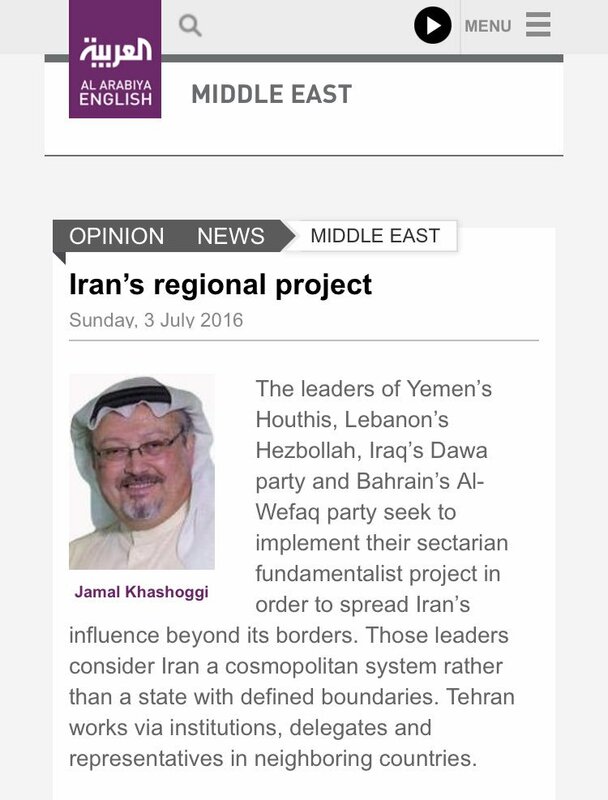 As a Sectarian Saudi would wish, he called People of Bahrain, Lebanon and Yemen Iranian proxies for demanding basic rights or fighting for their independence. 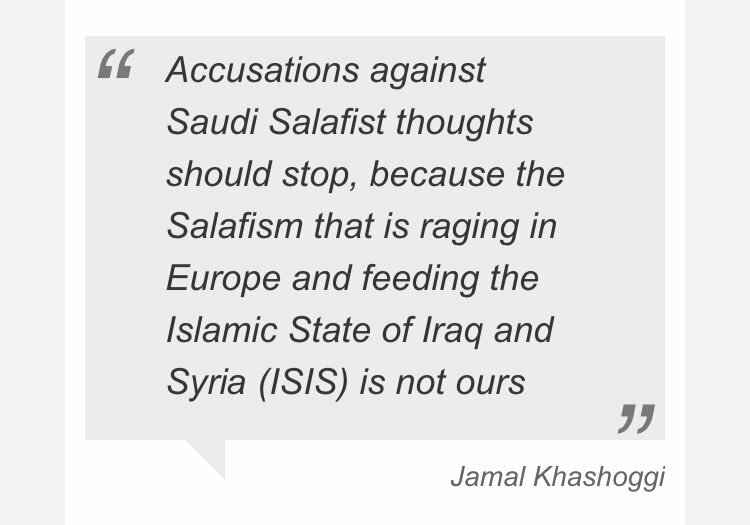 He was also an apologist for Wahhabi terrorism in West, he tried to absolve Saudi Arabia of the same terrorism and extremism it has been funding for decades and supported in Syria and Iraq, he rejoiced when Syrian Soldiers were captured and then beheaded by ISIS and called it a great tactical move. 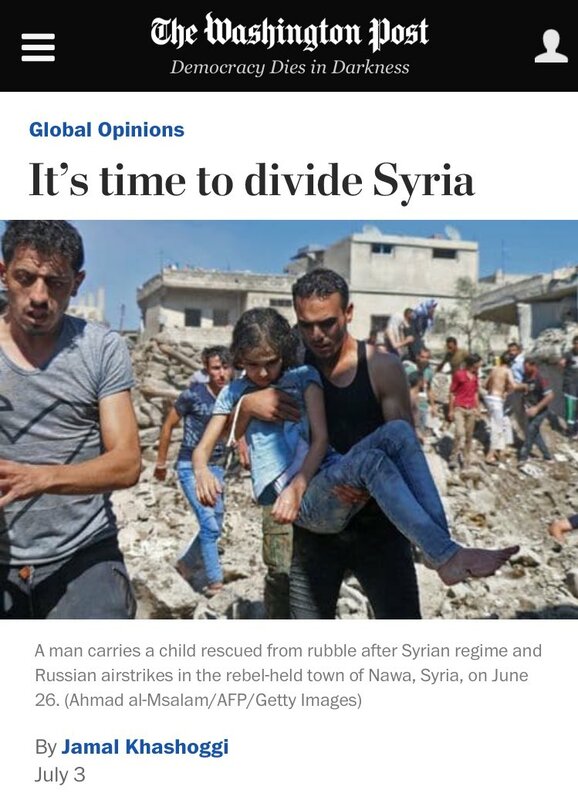 Khashoggi was no rebel, revolutionary or a human rights defender. 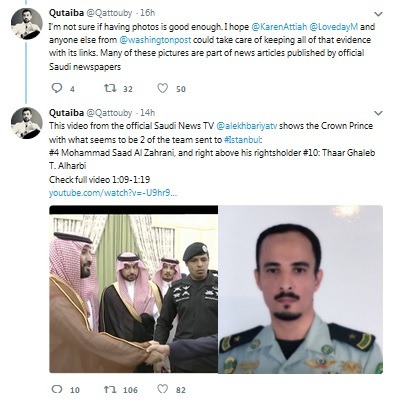 Sources close to Saudi royals confirm that Khashoggi was more closer to Prince Muhammad bin Naif (a well known Takfiri Salafi extremist and known sponsor of Wahhabi and Deobandi terrorism) and wanted to see him as the next crown prince and that is why he was hated by Muhammad bin Salman. His disagreements with Muhammad bin Salman were not based on principles or Humanitarian grounds but on Political and personal grounds. Calling Khashoggi a rebel or a revolutionary is unfair and unjust to people like Sheikh Nimr who have lost their lives for the revolutionary and righteous cause, calling him an Human rights activist is unfair to the women activist Isra al Ghomghom or a teenage boy Ali Nimr who have been sentenced to death for participating in pro democracy protests in Qatif. Calling him a rebel would be unjust to people like Raif Badawi who have been sentenced for life for writing on social media for social reforms in Saudi Arabia or to the women lawyers who were jailed for fighting their case to be allowed to drive. Khashoggi’s disappearnce, Abduction and murder must be condemned and should be investigated to hold those accountable who are responsible for this brutal killing but he should not be painted or allowed to be portrayed as some revolutionary iconic figure.